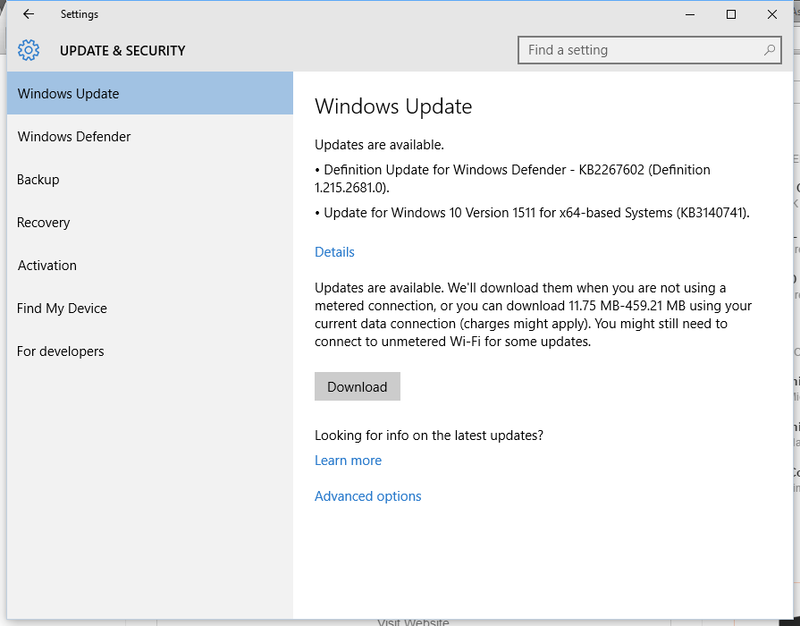 We all know how aggressive Windows 10 is on applying updates. One of the tips is to set your network connection to "metered." 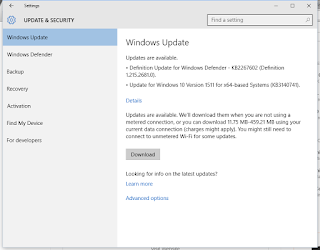 This disables all updates including Windows Defender's signature updates. 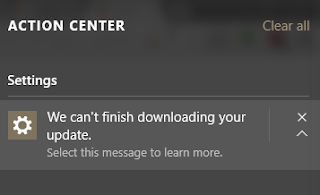 So if you use this tip, don't forget to force Windows Defender to update every day or two to get fresh signatures. Have you been wondering where all the Google Street View car goes? Normally you can only see whether they drove down the street you're interested in by dragging the little man over the street. But I wanted to see its route through an entire neighborhood or shopping center. In Google Maps, position the map to where you want to start. Drag the little man onto the map. Notice that the routes the Google Street View car has mapped are highlighted with blue lines. But these lines are not persistent. They're only presented while you are dragging the little man. Now drop the little man anywhere you want. That takes you into Google Street View. Now click the "-" in the lower right corner. This takes you out of Google Street View but leaves the routes highlighted in blue. Some of these routes are interesting. 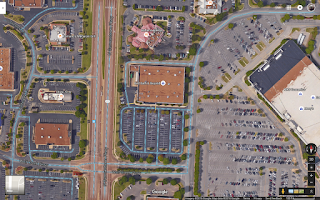 Look at the outlots of Wolfchase Mall. The Google Street View car drove through ALL the aisles of the Bed Bath & Beyond parking lot. Was he looking for his girlfriend's car or what? 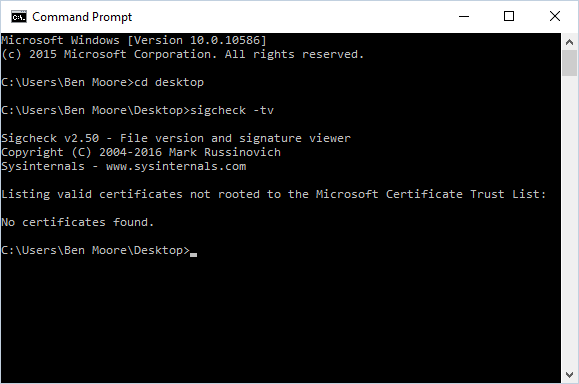 If you don't know what your Windows "certificate store" is just quit reading and go back to Facebook. 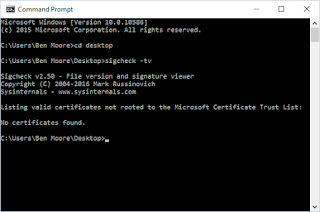 Now since you know what your certificate store is, I'm sure that you've had a couple of sleepless nights over it. Here's how to get back to those restful nights. Or you might not close your eyes until you've reformatted and reinstalled Windows. Go to Microsoft's Sigcheck page and download sigcheck.zip. Extract sigcheck.exe somewhere convenient like your desktop. Run the command prompt. Navigate to where you saved sigcheck.exe. Run "sigcheck -tv". It'll take a couple of minutes. The results will determine how (or whether) you sleep tonight. Note: This doesn't check Firefox's certificate store. So when you are in the gate area at the airport, do you plug your phone into one of those courtesy USB charging ports? Please say NO. If you have to make sure you have one of these in your bag. 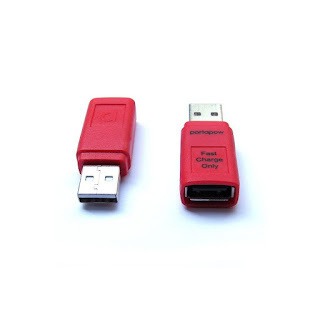 Think of this as a USB condom. Your device will not enter 'data transfer' mode so there is no risk of data hacking / viruses when charging from an unknown USB socket.